This October brace yourselves as a Mercury retrograde comes around from the 4th to the 26th. 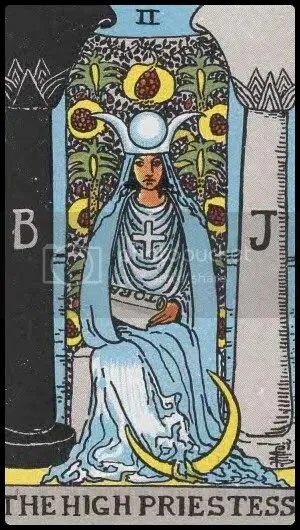 During this period, the usual will apply like avoiding major decision making or watch out for how you communicate as sensitivity levels will be at an all-time high so a lot could be misinterpreted. The key is not to take anything personally at this time. The best thing is basically to lie low and reflect and don’t expect major changes or make big moves as you aren’t really going to get anywhere with it and this will only add to your frustration levels. Working on the basics or foundations of any project that you have been awaiting to embark on is probably the most appropriate. If you are already in the middle of a project do not expect to make big waves but a wise thing would probably be to reflect on your recent progress and see if this is what you really want or if things could be improved on. Despite being in a Mercury retrograde for most of the month, it is actually a very good time for business owners to unleash their creativity to see how things could be improved upon. For some of you, this period may cause some lethargy to set in and an inward retreat and some pampering may feel like the ideal thing to do. If this is what you feel by all means be kind to yourself and go with the flow. The end of the month will somehow bring on a sense of feeling victorious although you may feel undeserving of this as you haven’t felt like much has been achieved work wise. This is how a Mercury retrograde makes one feel, unproductive. So do take the time to bask in this feeling and acknowledge that you have made it through another retrograde! Be open to receiving and do not feel guilty about this. 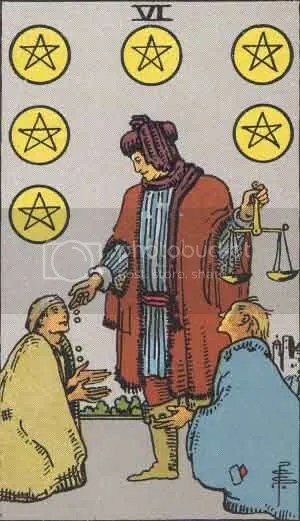 You have been very giving in the recent past and it seems like it’s time to strike a balance and be accepting of help being offered your way. Receiving may come in the monetary or any other material form and/or even emotional support. Whatever it is be open and let it flow towards you. It is important to keep the energy flow between giving and receiving so enjoy the attention you will be getting for this month. It feels like you are in a position where you are ready to make a decision to move forward but are unsure of which direction to take. You feel as if your thought process is muddled with a million ideas and you are unable to think clearly as to which is the best. Take the time this month to do your research and or seek the guidance of a more experienced one to help uplift this cloudiness. Slow down and do not rush through this process. Listing out all your ideas might help you moving forward. You may not come up with that one brilliant idea this month but do acknowledge all the inspiration that you are getting as something may come out of it in the coming months so do not feel disappointed for now. You may finally find a solution to all the worries or problems that have been gnawing at you for a while now. Everything that may have been negative for a while will start to turnaround to reveal a positive end to things. This may very well be the peak of your anxiety before the tides turn and everything becomes smooth again. The best thing to do Gemini is to simply go with the flow and catch up on your rest as you are going to feel really exhausted when all this comes to an end. It is important to keep your temper in check this month dear emotional Cancer. Your mood swings and temper may be the cause of some irrational arguments. The Mercury retrograde and the squaring of Pluto with the Sun will be the contributing factors to your wanting to display your supremacy over the other and this will lead to plenty of disagreements and jealousy with may turn a bit ugly if you do not control yourself. The lesson for you for the month is self-mastery of your emotions. Overcome this and I would say you have passed the test. There is never a better time than this to educate yourself on topics that have always interested you this month. Quiet time is best spent this way or teaching yourself new skills or planning strategies for your next move in your career or business. If you are seeking a relationship take the time to find out as much as you can about the other person as this will assist you in making a decision on the suitability of this person for you. Ideally no major decisions should be made with regard to any aspect in your life but rather take this month to research and reflect. You will be very pleased with your efforts at the end of this. You will be feeling the need for some rest and relaxation this month. Do not brush this away. In fact embrace this and be kind to yourself. It does seem you have had a hectic time recently and if moving inwards through meditation or just sleeping it off does the trick for you just go with it. It feels like you may have experienced some arguments or disagreements recently so retreating might be the best solution for now before you decide to iron things out with the other party. Retreat and reflect is your flavour of the month. October calls for a fresh perspective in your life. Do the things that you would never otherwise do. Instead of harping on your misfortunes in the past think about how it has taught you instead. Appreciate each moment in your life. Take the opportunity to do a kind of a spring cleaning of your thoughts and perspectives. It feels like you will be creating a fresh new beginning for yourself in your birthday month. Things continue to move well for this month. Your positivity seems to shine on everyone around you. You crave to start things anew and wipe the slate clean and move forward in life. You may embark on major projects but it should all be about researching, planning and strategizing. Avoid major decision making for this month at least. Because you feel very positive about every aspect of your life communication seems to be on your side for the month. Again confrontation isn’t advised but rather seeking another’s opinion or advice will do you very well. So make the most of this wave of positivity. If you have been working on a business idea, it feels this may be the month where you get noticed and receive monetary help from an interested investor. However, establishing clear communication with your potential investor is greatly advised as it’s important to define the degree of their involvement in your business. It’s a month of recognition so if a business idea wasn’t part of your plan then whatever you have been working on be it your studies, career or even a diet plan you will start to see your rewards. You will be given opportunities to move on to greater heights in whatever you are doing. Sometimes winning an argument or a fight doesn’t necessarily make you a winner. It’s a hard lesson for you to learn but it feels like things will be laid out for you to test your resistance to a fight or argument to make your point. Though you may feel you are right but the best thing would probably be for you to walk away and not to get involved any further. Try to reverse your course of action in any given situation. If you have always been the kind of person who feels you need to raise your voice in order to be heard try keeping quiet for a change to see where things lead you to. You will see that you may achieve the same result or something even better. Dear Aquarius, am sorry to be the bringer of some bad news but this month of October seems to be a land mine of arguments waiting to happen for you. The arguments may surface in working or business relationships, family, friends and even the random acquaintance. Your quick wit and tongue may have gotten you out of trouble before but this time it may well just land you in hot soup. So be aware of your communication with others for the month. A cool and logical approach should be the order of the day. Awareness of what’s running through your head before you speak is key and things will go smoothly. Expect that your need for perfection this month may not go according to your plan. All the plans that you have laid to work towards your short or long term goal will feel stalled. Things are going to plod along much slower than usual so it’s best to accept this to keep frustration levels in check. Not doing so would probably lead to unnecessary blame and arguments which could sour working and personal relationships. So lying low is probably going to be your best bet or simply use this time to go on a well-deserved holiday.